When it comes to a replacement project, we always try to find a way to create something new but respecting the building’s original design. In this particular case, we were in front of a project that demanded high-performance windows because the old ones produced cold drafts and weren’t energy efficient. The client felt that Signature’s Contemporary Wood Tilt & Turn Windows were the best style of windows that suited their needs due to the convenient ventilation mode. 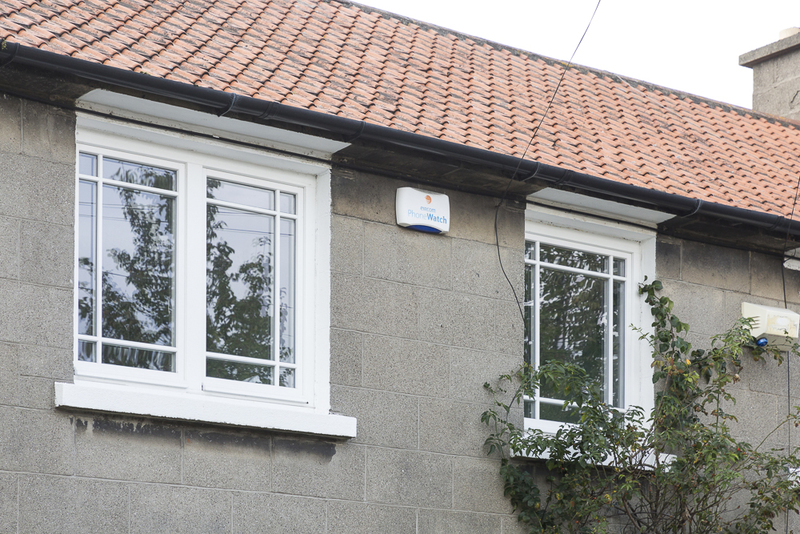 The slim window frames and profiles on the glazing bars were also a crucial deciding factor for the client. We Have The Windows, Now What About The Door? 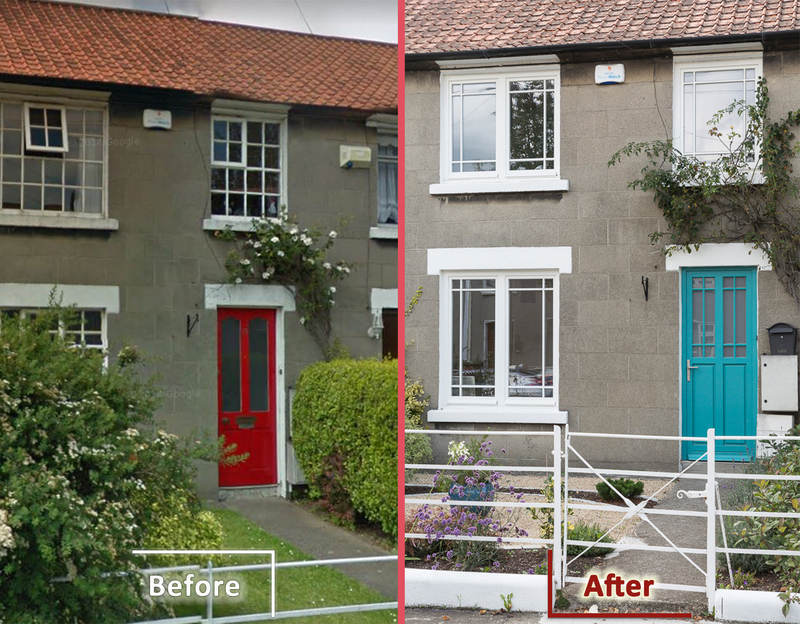 The owner wanted to replace their front door as well, but he desired to keep it as a focal point of the house. 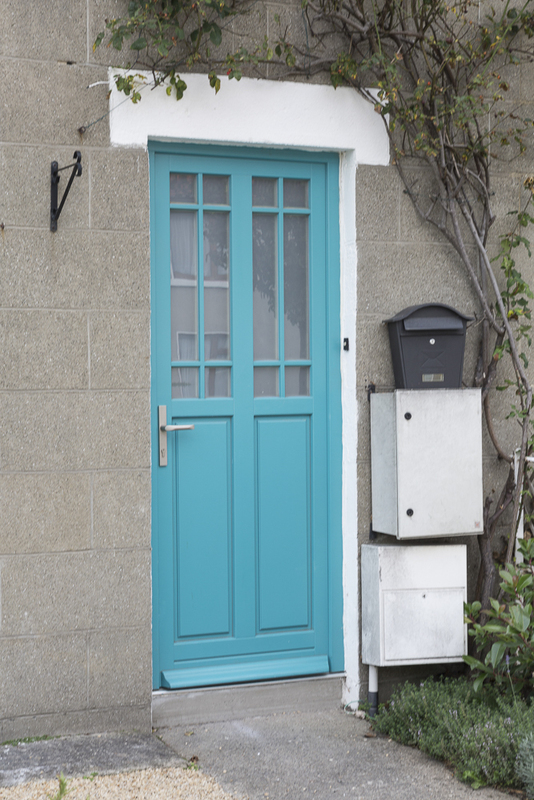 In order to do that, we included Signature’s Traditional Range Wooden Entrance Door with a cyan finish. Using this eye-catching colour allowed the entrance do continue as the focal point of the home. 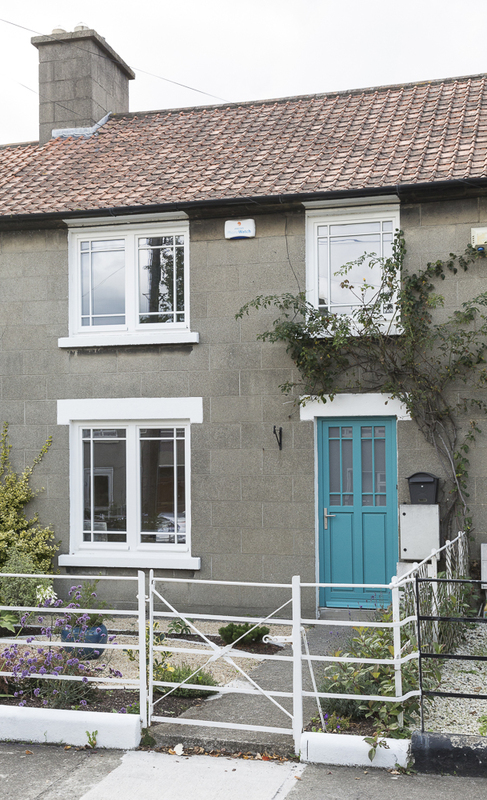 As you can see, choosing a proper window & door style was very important for this project because they drastically define the house’s appearance, making it look brand new. Are you looking for inspiration? Someone who can help you figure out what’s best for your project? Our professional design team is ready to make your dream home come true. Call us to book a free on-site survey or request a quote clicking the link below.